Journey is one of the most popular rock bands of all time. Their top hits include "Lights", "Faithfully", "Any Way You Want It", "Separate Ways" and of course " Dont' Stop Believin". The group formed in 1973 and has earned 25 Gold and Platinum albums and sold almost 10 million albums worldwide. Journey continues to tour and record and received the Billboard "Legends of Live" touring award. 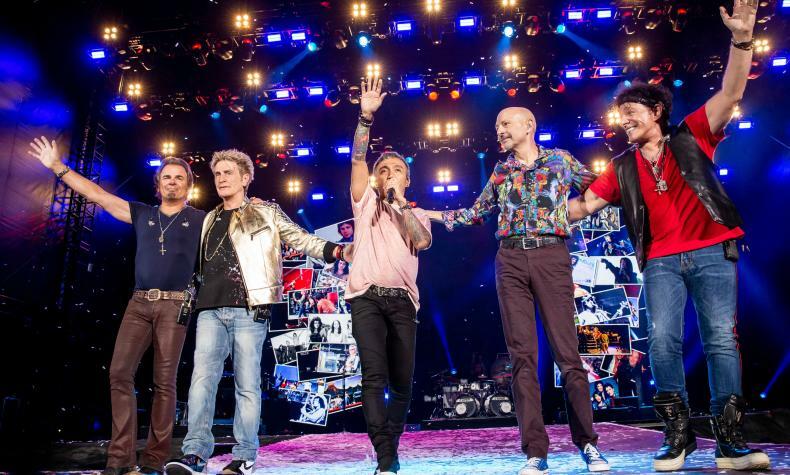 Journey members include Neal Schon, Ross Valory, Jonathan Cain, Steve Smith and Arnel Pineda.